The U.S. Department of Energy has announced the funding of $16 million for 17 wave and tidal energy projects. Although it’s not a great deal of money, the funding will assist in the gathering of data on how wave and tidal devices interact with the environments in which they are deployed. Both waves and tides move huge volumes of water, so the more information gathered about how and where the devices might work best, and how much power could be generated, may be hugely beneficial. The Department of Energy has recently estimated that up to 1,400 terawatt hours of energy could be generated each year in the U.S., including where it’s needed most, near major coastal cities. To give an indication of just how much power that is, 1 terawatt hour is enough to power 85,000 homes. 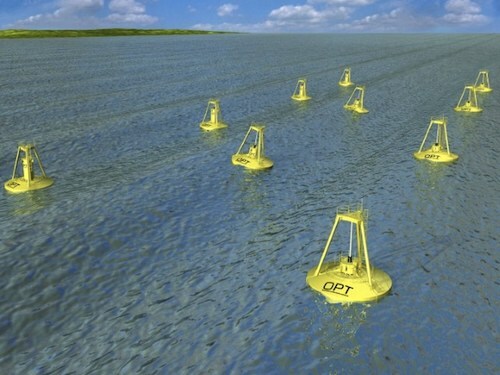 It is hoped that the investment will also be able to help various projects to develop new drivetrain, generator, and structural components for wave and tidal devices, as well as help to develop software that can accurately predict ocean conditions and optimize devices accordingly. The amount of money invested here is certainly not a great deal, considering the huge potential of the resource, but at least it’s something. A list of the projects being funded is available here (PDF).